International Space Day is May 2 this year. You may not be able to recreate Space Camp in your living room, but these fun activities will have your kids dreaming of being an astronaut in no time. Since the first International Space Day in 1997, children and adults alike have enjoyed space-related celebrations, demonstrations and educational outreach programs the first Friday of May each year. Initially, Space Day (as it was then called) was created by the Lockheed Martin Corporation, who wanted to motivate American kids to study math, science, technology and engineering. Space is cool though, and the day was so popular it has become an annual event ever since. In 2001, former astronaut John Glenn expanded the day, adding “International” to the title. To celebrate International Space Day this year, inspire your kids to strive for N.A.S.A. by watching the '80s classic Space Camp, checking out YouTube videos of shuttle launches and Felix Baumgartner’s stratosphere skydive, and recreating a couple (or all) of these fun space-related crafts. 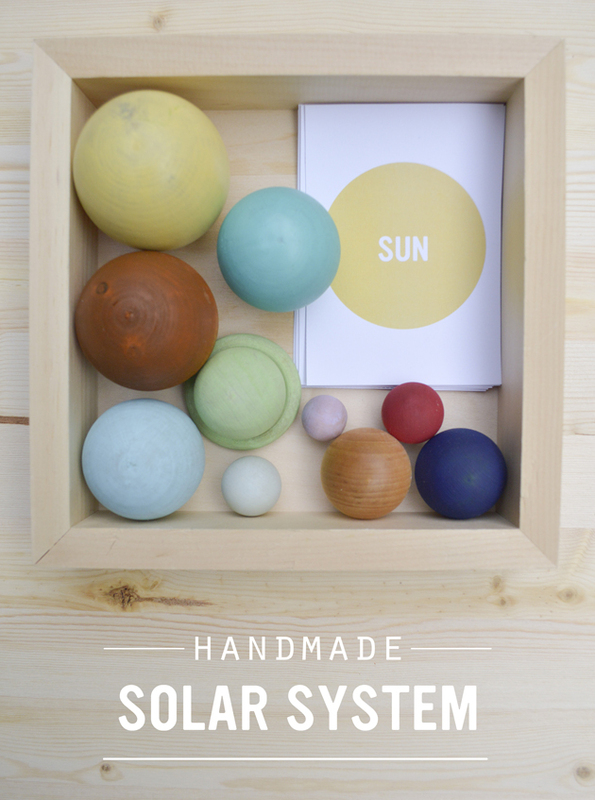 This wooden handmade solar system from Randi at Playful Learning is so simple and lovely you will want to keep it out all year long. With size-proportionate planets and downloadable cards, your child can learn to recognize the planets, order them within our solar system and even study the rotation around the sun. Kids of all ages will enjoy squishing the paint on this creative sun craft from Mrs. Karen of Mrs. Karen’s Preschool Ideas. Needing just a few simple materials you likely have lying around, this is a fun way to recreate our home star. The classic game Memory gets an International Space Day twist from Melissa. 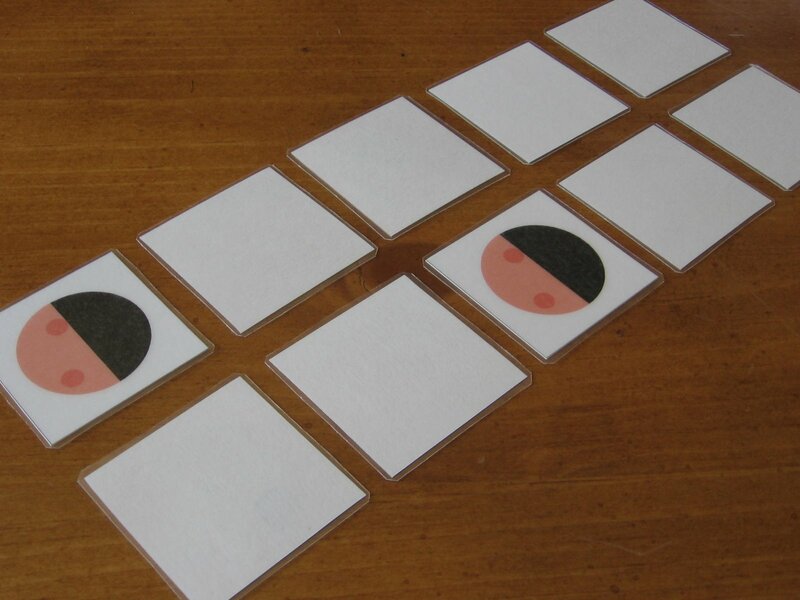 Instead of matching images, your child can match the phases of the moon. Max and Ellie has a downloadable version of the images available, or you can ramp up the fun (and learning) and draw the cards out with your child before play. Sensory tubs are great for young and old kids alike. 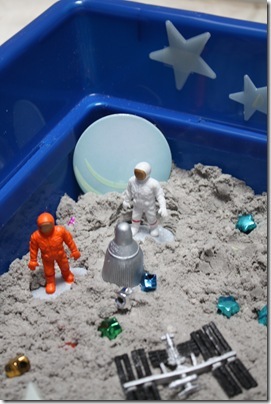 Cynthia from Totally Tots shows us her spaced-out version, complete with miniature astronaut. Keeping with the adage “everything is more fun with glitter,” this homemade galaxy play-dough from Sally at Fairy Dust Teaching is full of sparkly, glittery goodness. Add a few space trinkets and your explorers are ready for lift-off. Glow-in-the-dark stars and/or planets, sequins, beads and any other items you'd like to make your galaxy shine. The sky’s the limit. 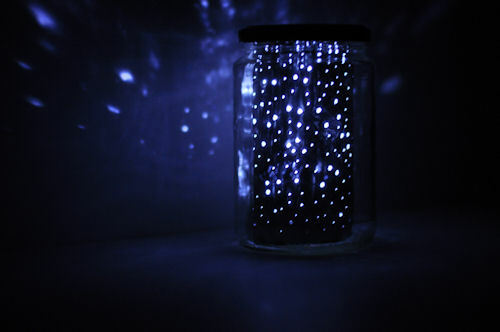 Gabrielle from Design Mom has a fantastic (and easy) way to teach your child the constellations with her DIY constellation jar. Using just five items (and a dark room) your kids will quickly learn Ursa Major from Ursa Minor. Celebrate Barbie's birthday with crafting fun!